We all have those days where we just want to relax and do nothing. In order to stay beautiful, you must learn to manage your stress. So why not take a bath fit for a queen every once in a while? 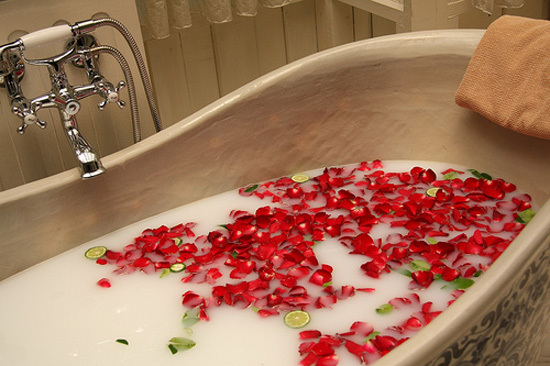 2) Place coconut milk and rose petals or rose water into the bath. 4) Pat yourself dry, moisturize, and do your thing. Hope you'll enjoy this delicious bath!